Haciendas in Ecuador are a beautiful way to spend your time in the Andes. Imagine waking up in the morning to beautiful landscapes with snow-peaked mountains and volcanoes in the distance with wild lamas, deer, or sheep grazing in the patchwork hills that surround you. In the evening bathe in the moonlight and try to count the brilliantly bright stars that shine across these highlands in the clean and clear skies. 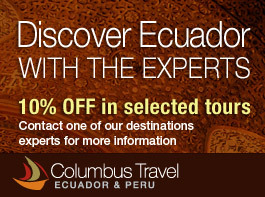 Get a feel for real Andean living and take a deep breath of fresh air!